Pan Music Publishing, 9780956649263, 86pp. The '53' refers to 53EDO (53 Equal Divisions of the Octave). Eagle 53 is a 12 note subset of 53EDO. The author's web site has music, pictures and information related to Eagle 53. For the web site address (if you are on an Amazon page) see the "More about the author > Biography" section below. 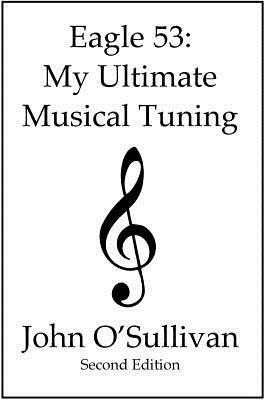 Click on "Visit Amazon's John O'Sullivan Page" in this section to see a video of the author playing an Eagle 53 guitar.